This one reminds me a little bit of the one from 13th Street in Columbia Heights in that it has a bit of a European look to it. 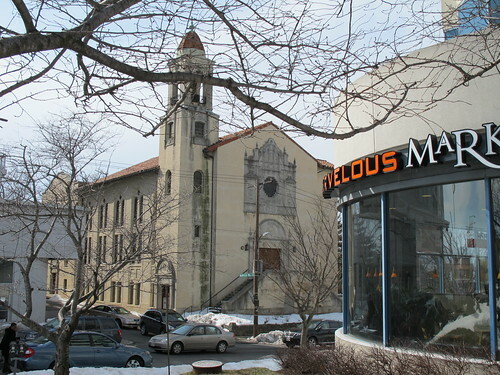 I also like the contrast here of the old Church with the Marvelous Market sign. This from just off Wisconsin Ave near the Best Buy in Tenleytown.